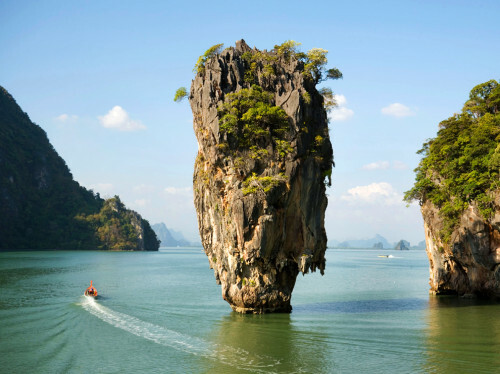 Cheap flights to Thailand: Bangkok for only €379! Royal Jordanian now offers cheap flights to Thailand for amazing price. 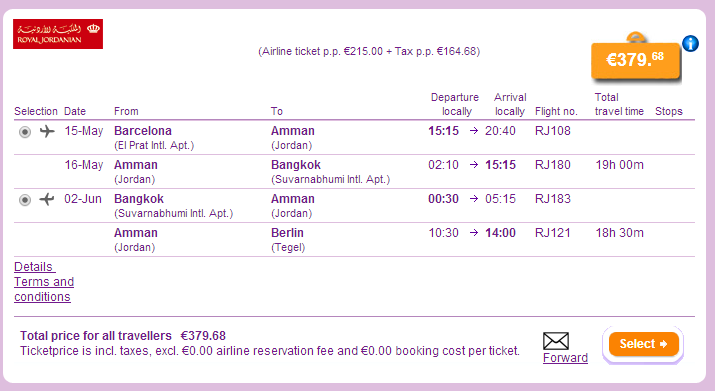 Multicity tickets Barcelona – Bangkok – Berlin are available for only €379! You can also return to Munich for the same price. 23 kg luggage is included and there is one stopover in Amman. Travel dates are in May and June with departures until 20th June. Book via BudgetAir for the best price (click on Show extra search options on homepage). « Cheap flights to Ireland: Prague-Dublin for €76!